My friend and colleague Kirk Borne, of George Mason University, is a specialist in the modern field of data mining and astroinformatics. 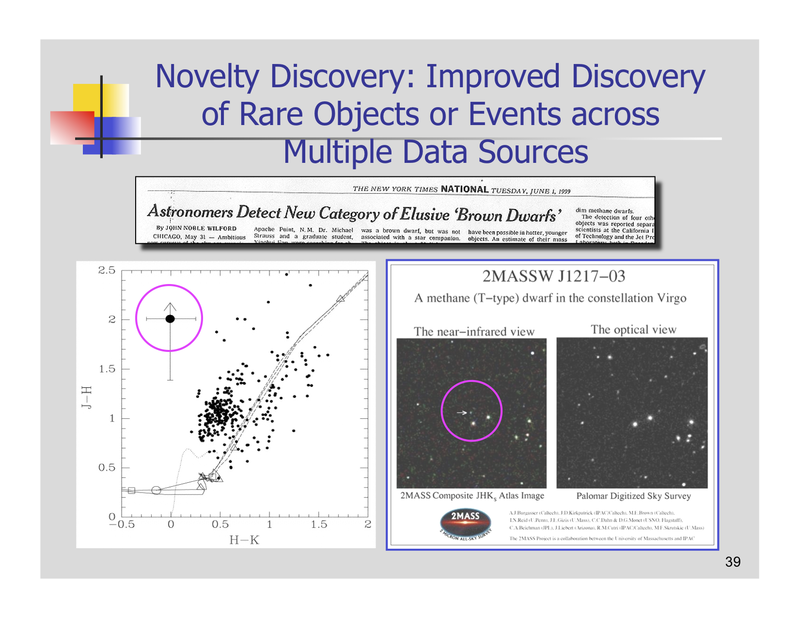 I was delighted to learn that he was giving a talk on an introduction to this topic as part of the Space Telescope Engineering and Technology Colloquia, and so I watched on the webcast. You can watch the presentation on-line, and you can download the slides from the same page. 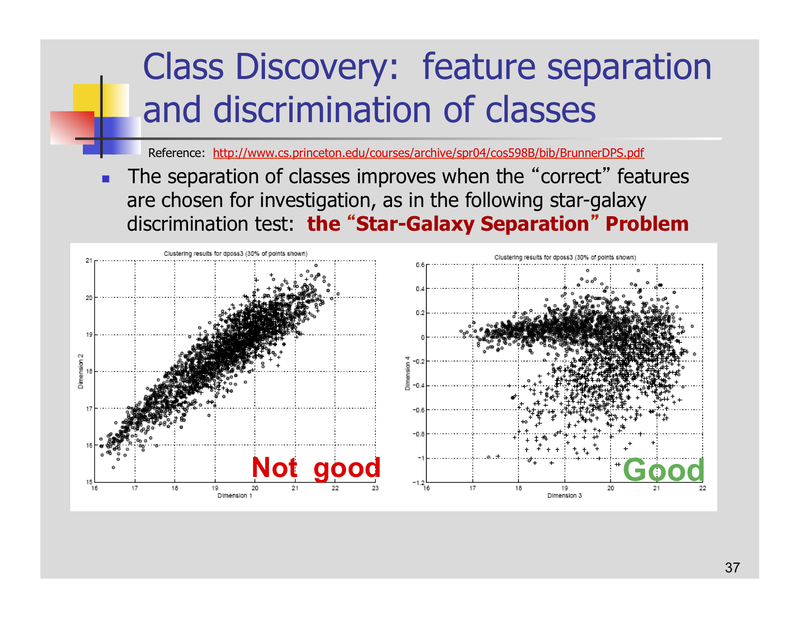 The presentation is a comprehensive introduction to data mining in astronomy, and I recommend it if you want to grasp the essentials of the field. Kirk began by reminding us that responding to the data tsunami is a national priority in essentially all fields of science – a number of nationally commissioned working groups have been unanimous in reaching this conclusion and in emphasizing the need for scientific and educational programs in data mining. The slides give a list of publications in this area. Kirk described sample problems in each area. After discussing the architecture of machine based learning systems, he ended by describing the data mining challenges posed by the data produced by the Large Synoptic Survey Telescope. When operational near the end of this decade, it will generate 20 TB of data each night, and in ten years of operations, it will produce enough data to full a football stadium with 200 million CDs. This entry was posted in astroinformatics, Astronomy, computer videos, cyberinfrastructure, data archives, Data Management, Data mining, High performance computing, informatics, information sharing, knowledge based discovery, LSST, Machine learning, Parallelization, programming, social networking, software engineering, telescopes, Time domain astronomy, time series data and tagged astroinformatics, astronomy, astronomy surveys, computer videos, computing, cyberinfrastructure, data archives, Data mining, education, high-performance computing, Informatics, information sharing, LSST, scientific computing, social networking, software, software sustainability, time domain astronomy, time series. Bookmark the permalink.